Well, I was planning to write this post at some far and distant time in the future when I had my super snazzy professional running photos, (not that I’m a narcissist or anything,) but I was feeling so many feelings that I just had to let them out, right here, right now! 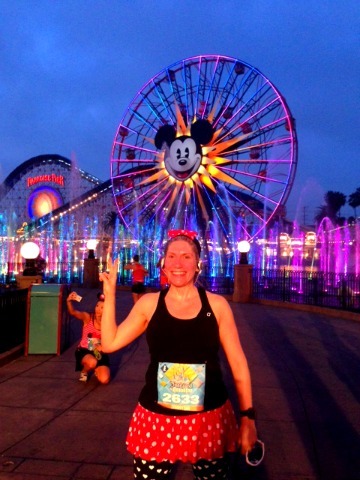 The Disneyland Half Marathon is done and dusted. So now what? 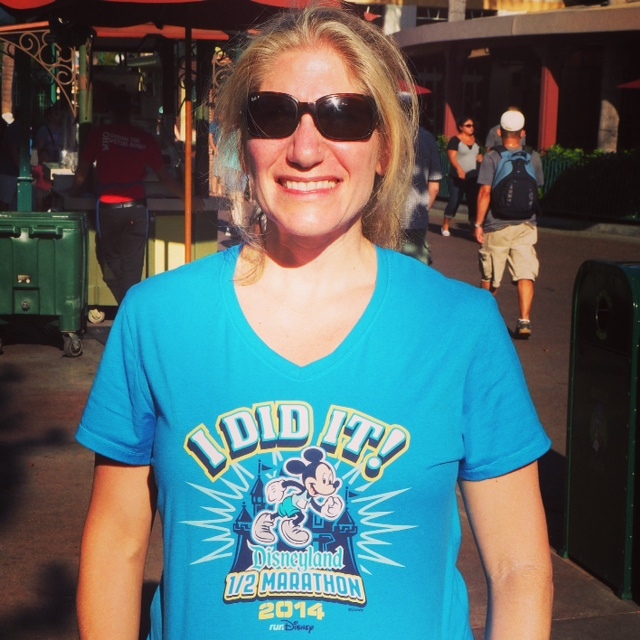 Running in Disneyland was my dream for so long that I’m feeling at a bit of a loose end. I’m a bit like a ship without a course, because everyone needs a purpose, right? Well, I do anyway. I felt as high as a kite after the race and now I feel as flat as a pancake. I wonder why? I’ve been dreaming of this run ever since my cancer diagnosis in 2011. 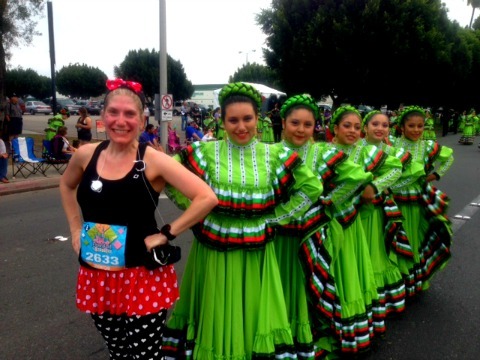 It was more than just a race, it was the culmination of all my hopes and fears at the same time, because I knew that if I made it to the finish line it would be the end of the road of my cancer journey. This part of it, at least. All the blood that was drawn, all the radioactive pills I’ve taken, all the PET scans I’ve laid still for, all the thyroid replacement tablets I’ve swallowed, all the doctors appointments I’ve had and all the counselling I’ve received, have all led to this. 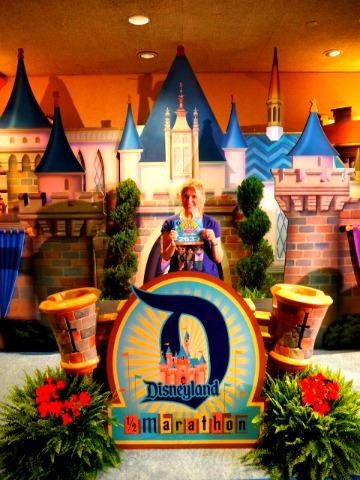 At every stage along this journey, Disneyland has been the carrot dangling on the end of my cancer stick. I’m not under any illusions here, I’m only as good as my next set of blood tests, but if things go pear shaped that will be a new chapter in my cancer story. Running this race has given me closure on cancer. I think it’s because I did the thing I thought I couldn’t do. I wasn’t sure I’d ever be well enough or fit enough to give it a go but I was and I did. The irony isn’t lost on me, that this dream only came about because of my cancer battle. The moment I crossed that finish line, I felt that I really had triumphed over adversity, in my heart and right down to my bones. I’m not going to lie, the race was hard, it was hot and I was slow. 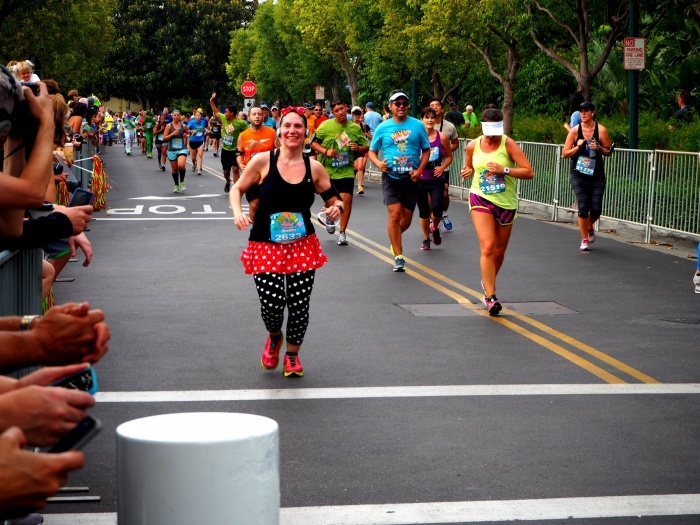 But none of that mattered, because I crossed the finish line and high fived Minnie Mouse. The atmosphere at the race was electric and my dream come true. I almost cried with happiness when I ran past Sleeping Beauty’s Castle, jumped for joy when I ran through Cars Land and was totally bedazzled by the World of Colour in California Adventure. A large part of the course weaves around the streets of Anaheim which is pretty unremarkable. However, the streets were lined with cheerleaders, brass bands, choirs and dance troupes making it the most entertaining and heart lifting course I’ve ever run! Locals gave encouragement like it was going out of fashion and also shared orange segments, lollies and my favourite, cold sponges for the 18000 runners pounding the pavements. How I loved Ken’and his kind offer of Free Hugs. I wanted a hug so bad but I was so sweaty and that would have been so not cool. If you have a minute, watch the free hugs in action. I can’t watch it without tissues. There was even a whole block lined with vintage automobiles, just like a car rally! 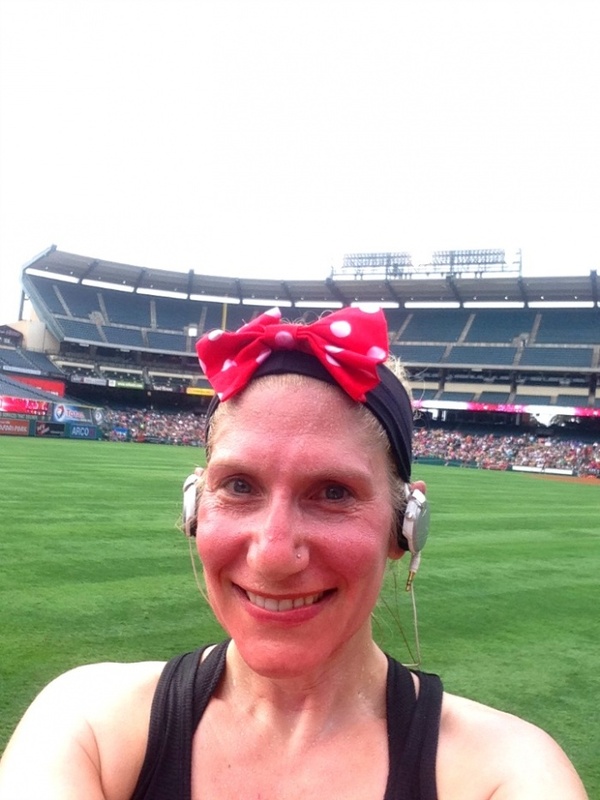 One of the highlights for me, was running through and around the Anaheim Angels baseball stadium. The stands were full of local youth groups who were cheering us on, as if we were rock stars. The atmosphere was amazing! Can you see the crowds behind me? I must give a big shout out to David for helping to make my dream come true. 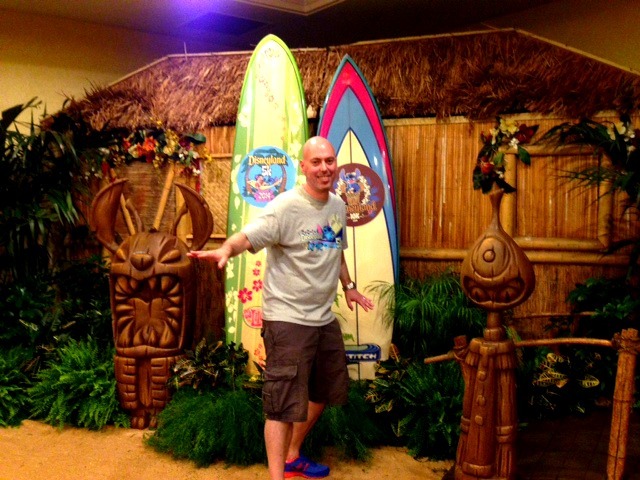 He has earned the title Tour Manager for all the back office work he has done getting this trip together, and indeed for agreeing to go to Disneyland in the first place. It’s not in his Top 10 list of places to go, let’s put it that way. You’d never have guessed though, the way he was carrying on, you’d have thought he had Disney-itis just as bad as me. He then went above and beyond the call of duty running the 5k with me dressed in his Mickey Mouse PJs. 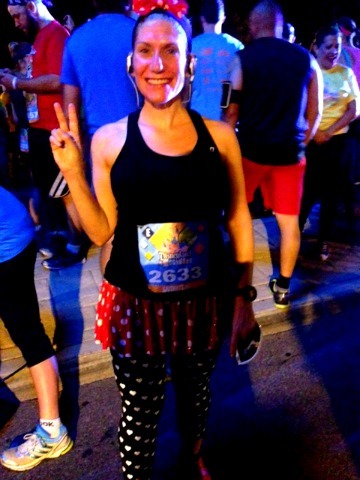 Anyone who runs 5k, in their PJs, in public, is all man and not a bit mouse!! 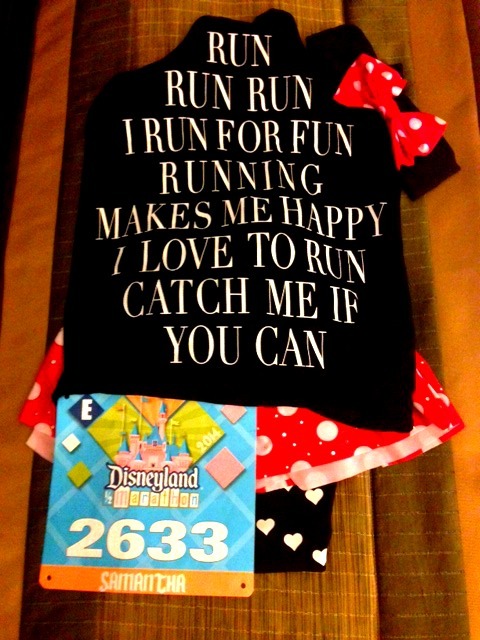 And as if that wasn’t enough, on the morning of my half marathon, he endured a 4am wake up call, accompanied me to the start line and then waited around like a spare part for the best part of 2 and a half hours in various spots around Disneyland just so that he could get some action shots of me “running.” He’s a keeper! Despite being an only child and having a bad case of OCS (Only Child Syndrome) and being desperate to go to Disney I always wanted this to be more than all about me, so I started fundraising. I’ve been humbled and heartened by the kindness and generosity of friends and family both near and far. My originial target was $1000 and the current total stands at $2359! Of course, my new post race target is $2500 because who doesn’t like a round number? If you want to join the fundraising party, remember no donation is too big or small, I love them all. Just click here. So what’s next? There’s this thing called a Dumbo Double Dare which is a 10k and a half marathon in the same weekend and it has my name all over it. Because everyone needs a purpose right? I’m thinking that this could take some time; there’s money to save, training to do and blood tests to sail through. In 2016, I’ll be 45. I couldn’t think of a better way to celebrate being alive. I’m following Ken’s lead and giving out virutal free hugs here on the blog. Want one? (Did I say they’re free?!) What’s your purpose? Do you have an ugly crying face too?